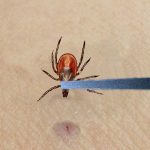 If you find a tick on your body, your children, or your pets it is important to remove it immediately. To properly remove an attached tick using tweezers or a tick removal spoon follow the steps below. 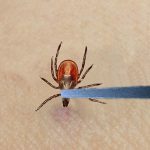 Do not use petroleum jelly, a hot match, nail polish, or other folk remedies to remove ticks. Those methods are not effective and may increase the risk of disease transmission. 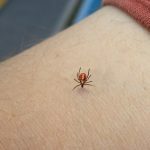 If you experience a rash, headaches, fever, or flu-like symptoms after a recent tick bite, see a physician right away. 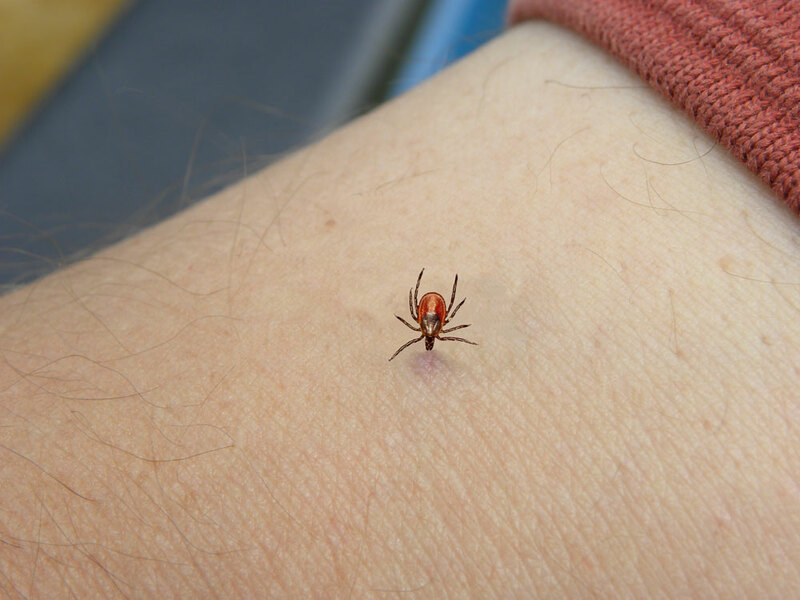 To have a tick specimen identified or tested for pathogens, see Submit a Tick. 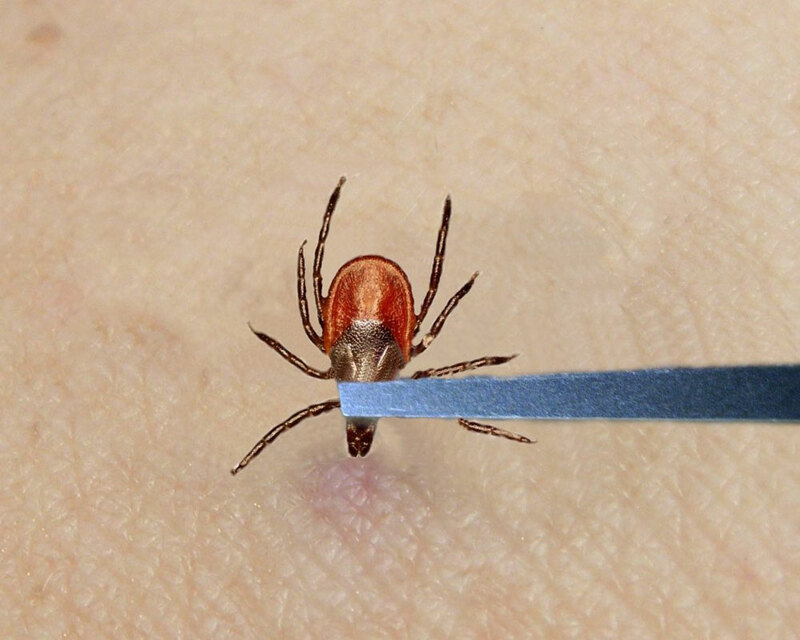 There are several tick removal devices on the market, but a plain set of fine-tipped tweezers will work. 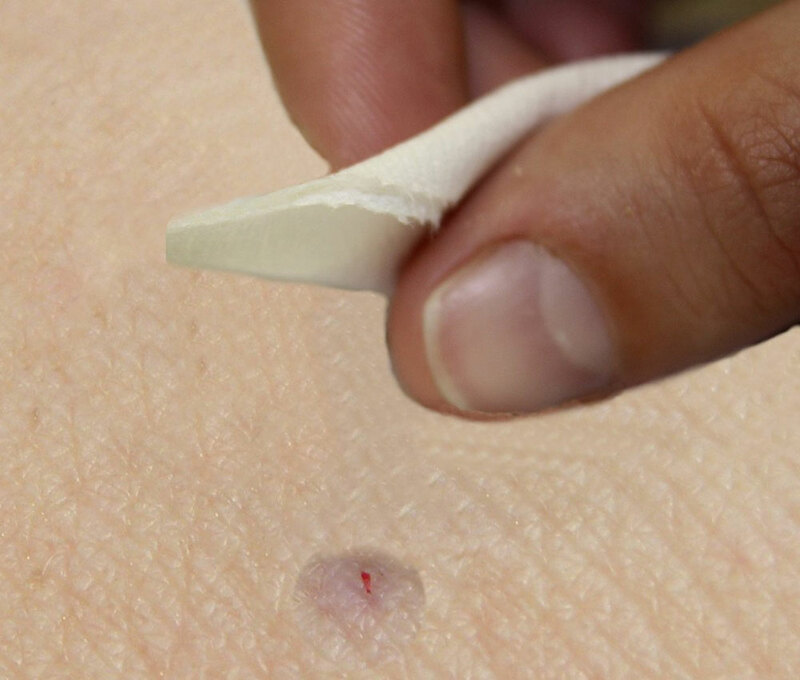 Use the tweezers to grasp the tick as close to the skin’s surface as possible. Pull upward with steady, even pressure. 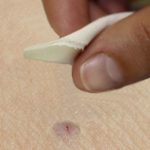 Don’t twist or jerk the tick; this can cause the mouth-parts to break off and remain in the skin. If this happens, remove the mouth-parts with tweezers. 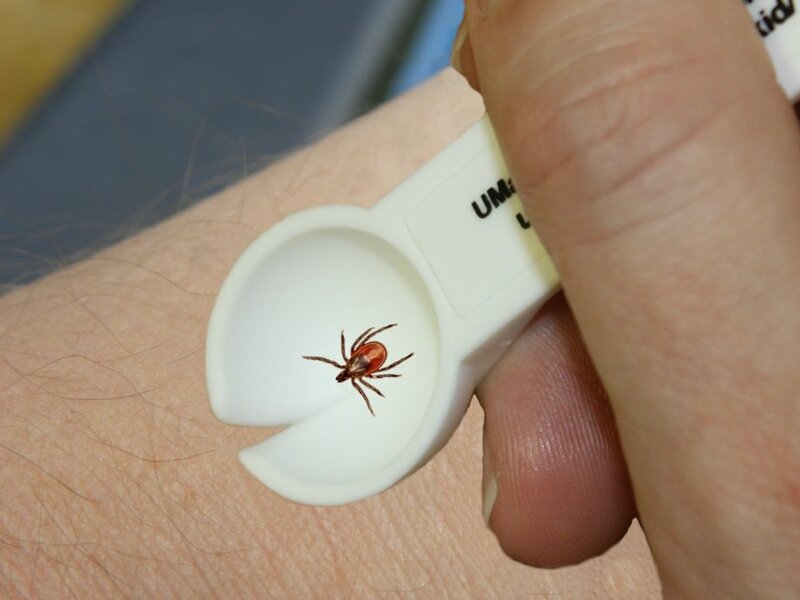 The tick can now be disposed of or saved for identification or testing. 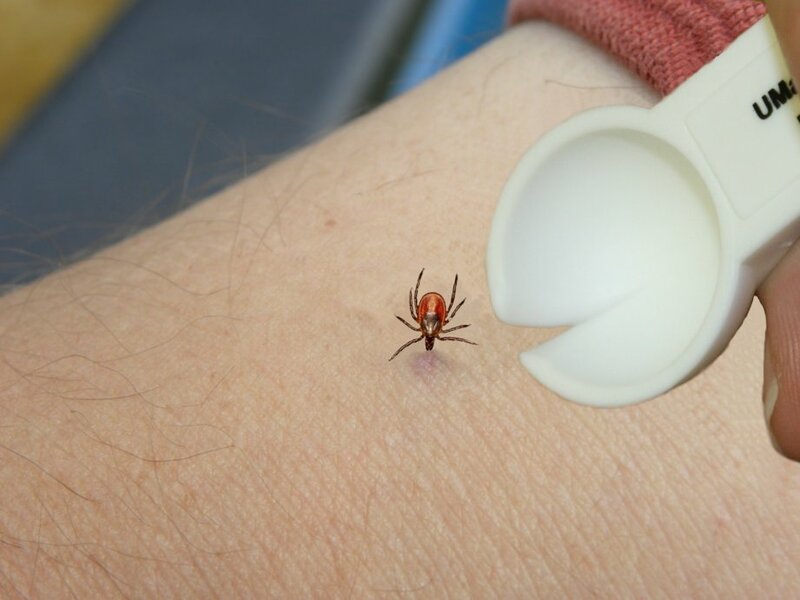 After removing the tick, thoroughly clean the bite area, your hands, and the tweezers with rubbing alcohol, an iodine scrub, or soap and water. 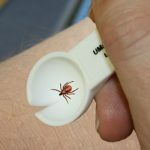 A tick removal spoon is an effective tool for removing ticks from both humans and pets. Place the spoon’s notch on the skin near the tick. 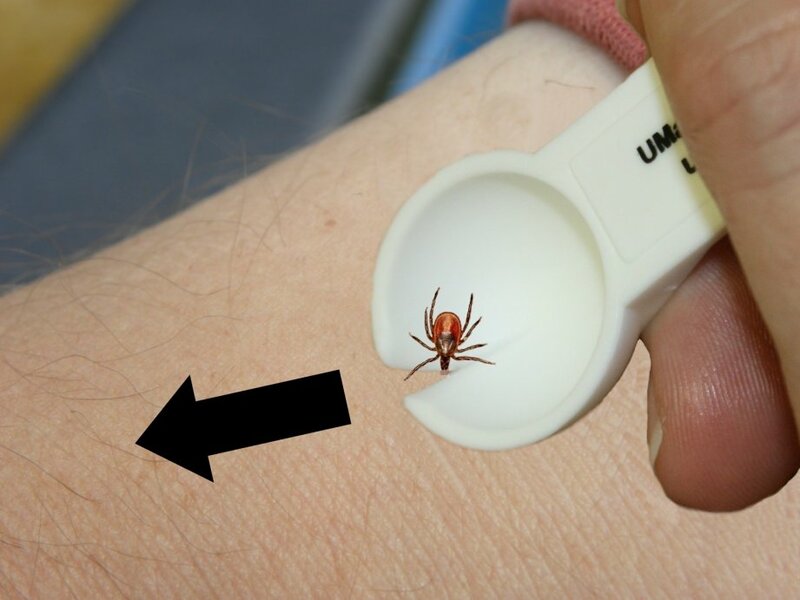 It can be used from any direction (the front, back, or side of the tick). Apply slight downward pressure on the skin and slide the spoon forward so the notch is framing the tick. Continue sliding the spoon forward to detach the tick (do not pry, lever, or lift up). Once the tick has detached, examine the bite site to make sure the mouthparts were completely removed. 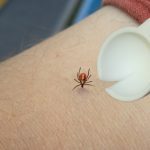 The tick can now be disposed of or saved for identification or testing. 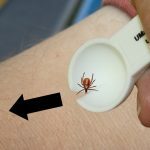 After removing the tick, thoroughly clean the bite area, your hands, and the tick removal spoon with rubbing alcohol, an iodine scrub, or soap and water.